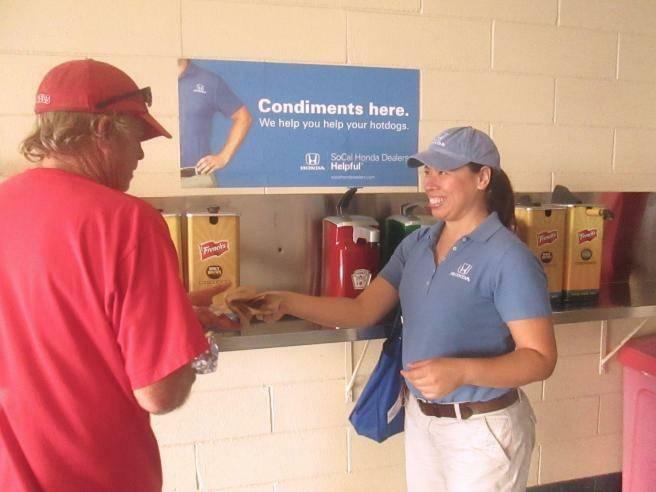 Your Helpful Southern California Honda Dealers are taking you to the ball game! 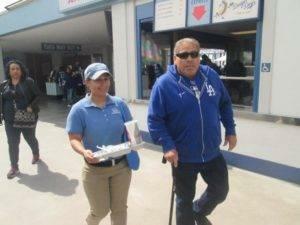 The Guys in Blue are bringing Helpful Fridays to LA Dodgers and LA Angels Friday home games for most of the 2014 baseball season, now through summer. What can fans look out for? 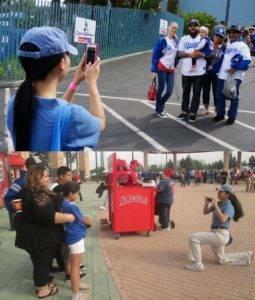 And baseball Helpfulness doesn’t only happen in-game, as the Guys in Blue were just out hydrating runners at the LA Angels 5K & 1 Mile Family Fun Run/Walk. 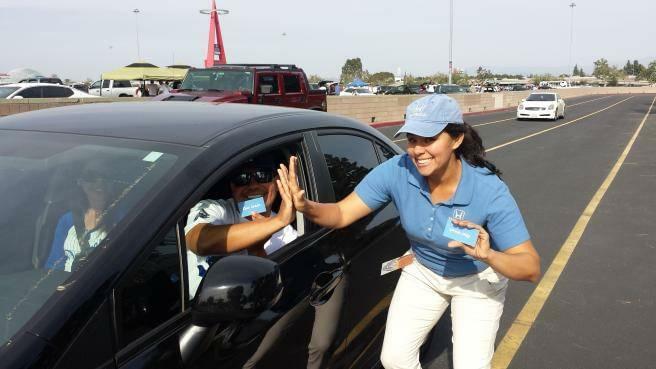 Whether we’re surprising Honda drivers with seat upgrades and free parking, or lending a hand at community events, baseball fans in Southern California will be getting a helpful treat from the SoCal Honda Dealers this MLB season. So if your Dodger dog or garlic fries are missing some condiments.. just ask. We’re happy to bring you some ketchup! 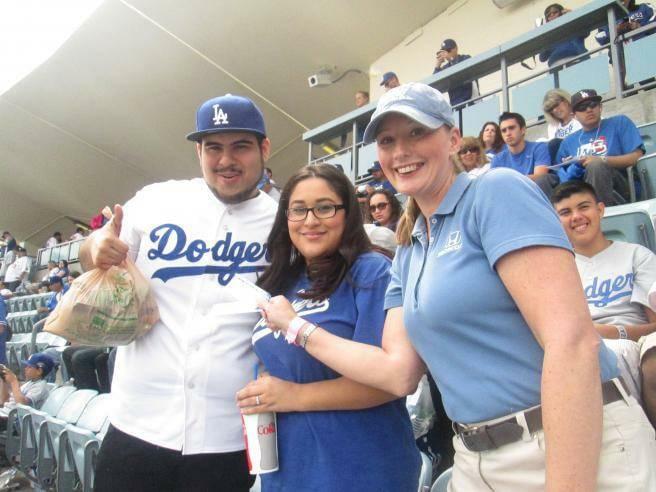 To find out more about #HelpfulFridays or for clues on where the Guys in Blue will be next, follow us on Twitter @HelpfulHonda and ‘Like’ us on Facebook. This summer be on the lookout out for Blue Shirts at Six Flags Magic Mountain and select LA Galaxy community events for more helpfulness. It’s just another way we’re being helpful!